AbeBooks, Alibris, Better World Books, Book Depository, Books A Million, Hastings, and Powell’s Books to name a few. Thank you Steve and Tyrean! This book is amazing! I could not put it down!!! Thanks for such a great read!! Thanks for following my blog! I will enjoy perusing your site! Thanks! I’m kind of new to wordpress, but have been on blogger for years. Yes there will be! The first draft is almost finished so hopefully it will be ready to release in 2014. A good friend of mine just gave me a copy of your book that you signed yesterday. I just want to say thank you and I look forward to reading it. I just finished The Magic Wakes and I am amazed that this is your first book! Wow! If that is a first attempt I can only imagine the delightful stories that you have in store for your readers! I thoroughly enjoyed this book and getting to know your characters! Keep up the good work! :0) -Denise G.
Thank you Denise! I’m so glad you liked it. Currently I’m working on the sequel and another completely unrelated story. Hopefully I’ll get one of them out for you in 2014! Amazing book! Loving it and can’t wait till the sequel comes out! your an awesome author. never been a fan of science fiction, but your book is definitely the exception. Thank you for dropping by my place. Although not my genre, I may well find myself checking one of these out in the future. I’m very much adventure, romance, thriller, which actually shows up in my own writing. I’ll click follow so I don’t lose track of you. Good luck on the sequel. I’m going to be working on my first sequel very soon, and the cross-referencing will probably be the hardest part. Thanks! 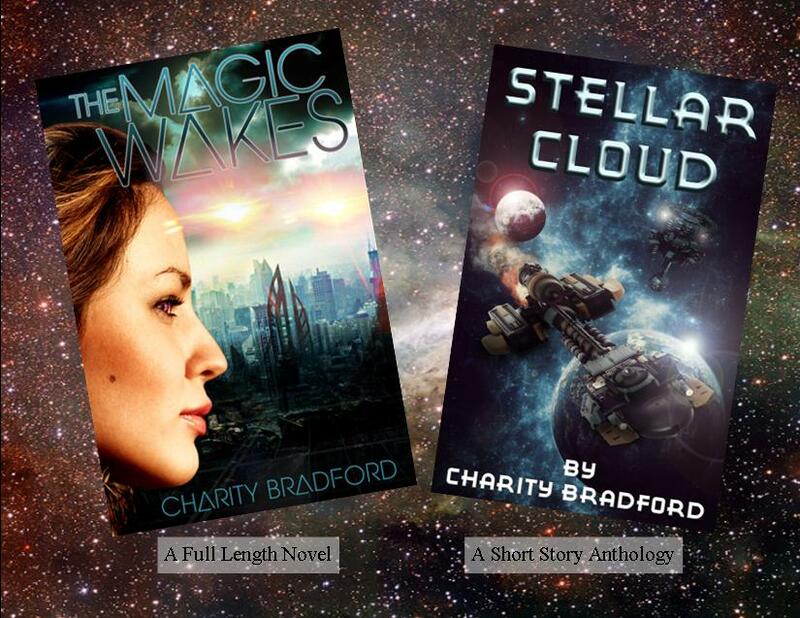 You can find my actual blog at charitywrites.blogspot.com.